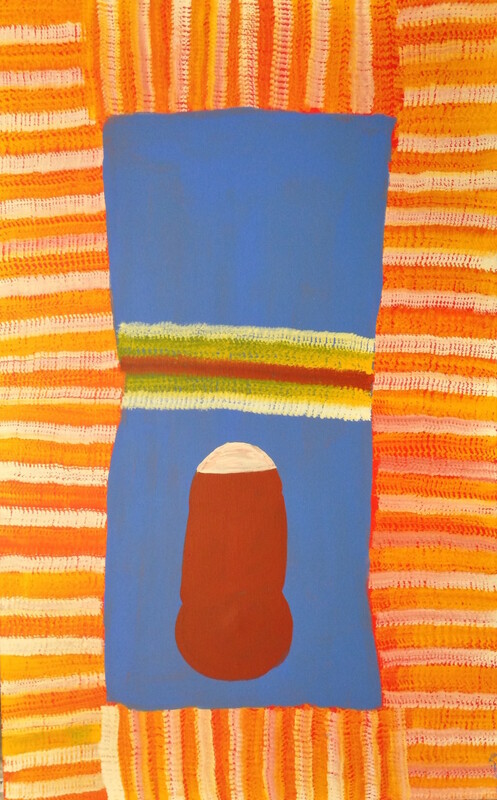 Senior Alawa community lawman and artist Barney Ellaga was born around 1939 in the Minyerri region of the Northern Territory. 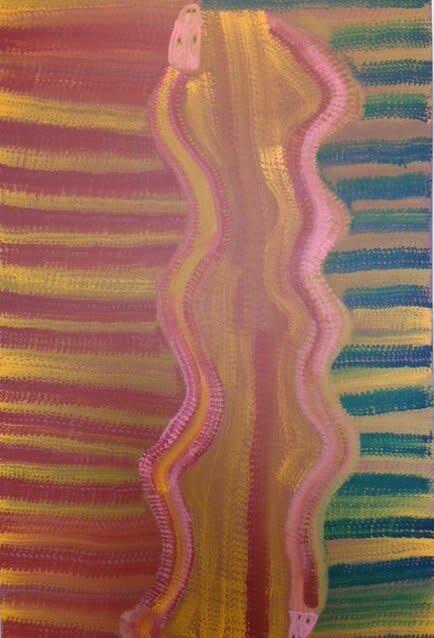 His work consists of soft lines of colour, each representing both the physical and spiritual character of the country. 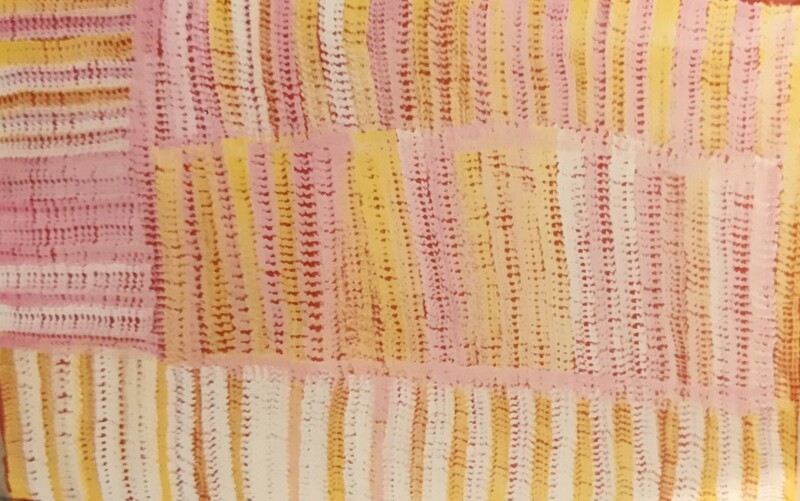 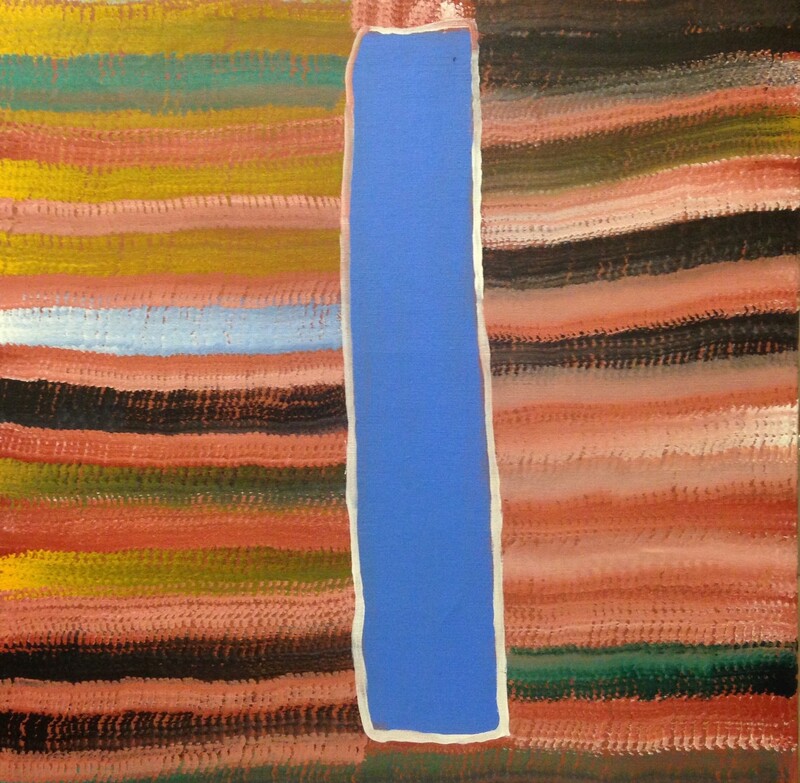 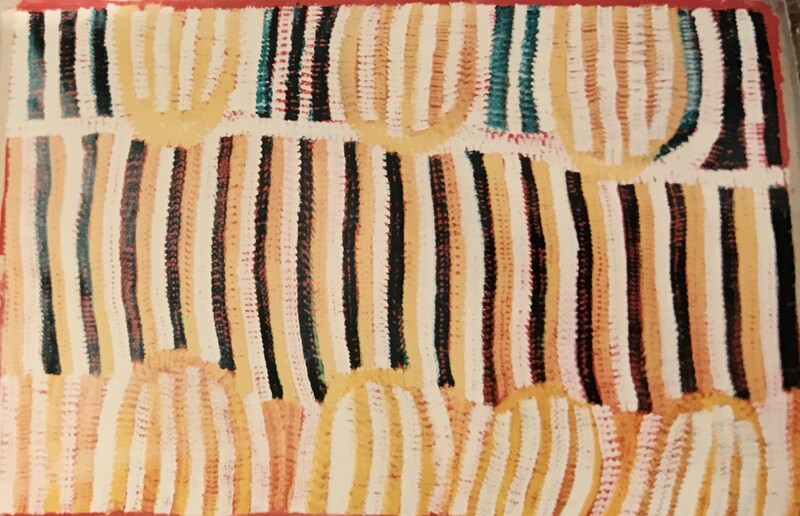 With paintings held in the collections of the National Gallery of Australia and the National Gallery of Victoria, Ellaga's work reflects the diverse terrain of his country, with long sweeping rivers, dense vegetation and open plains. 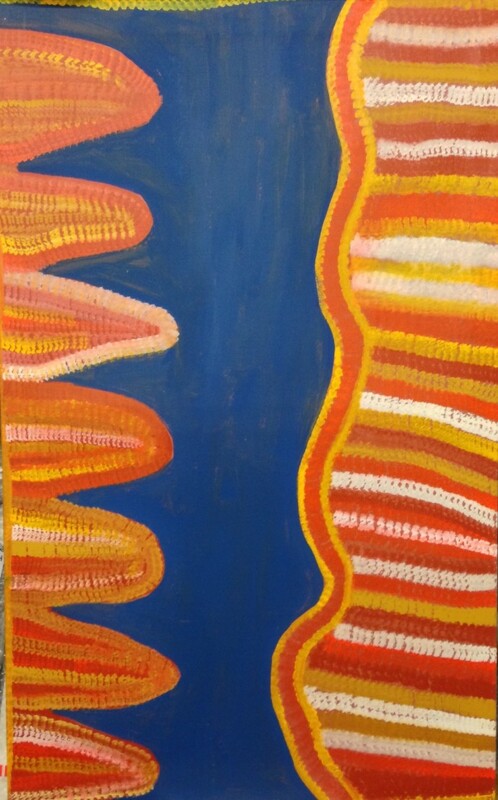 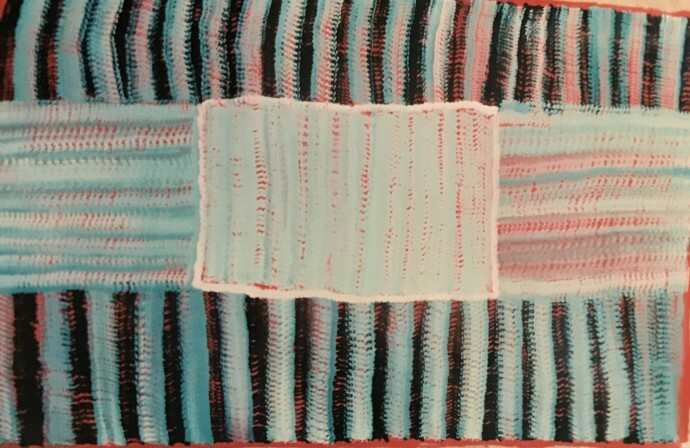 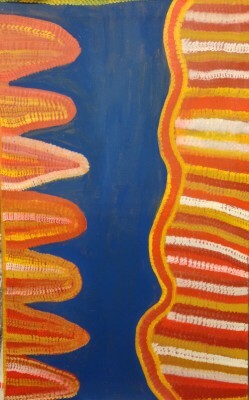 As a result of such a varied topography, the Roper River region's indigenous communities have produced many different painting styles, all united in their use of bright colours. 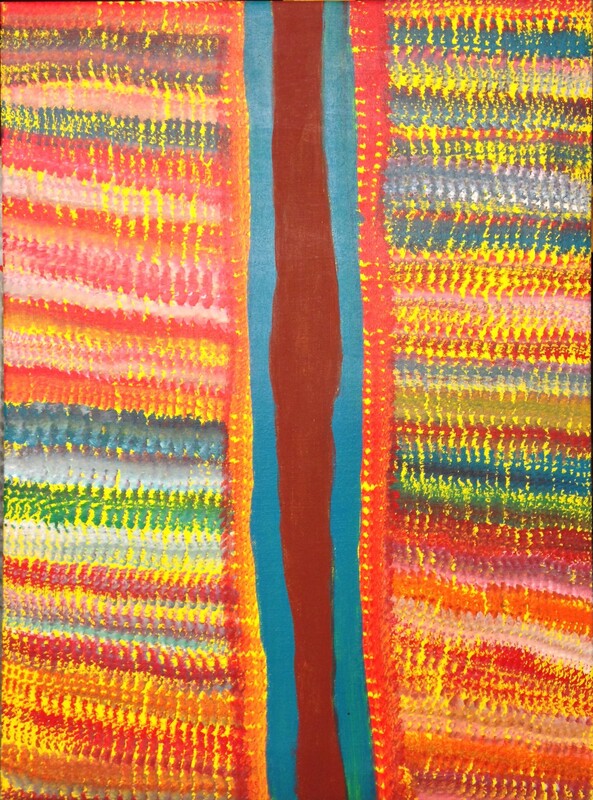 Ellaga did not start painting on canvas until the late 1980s. 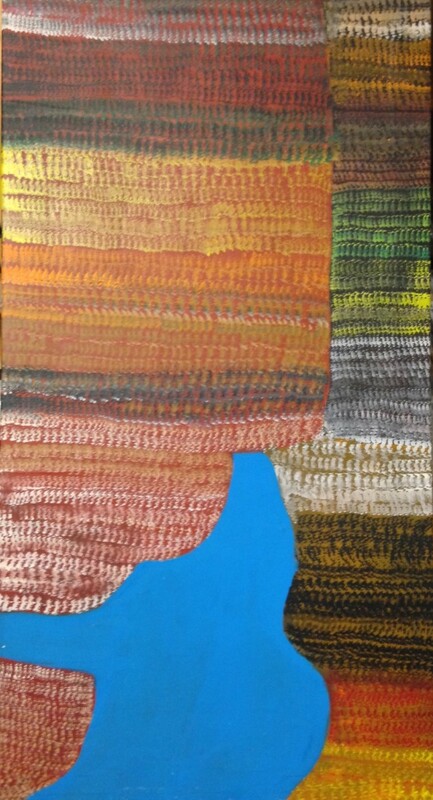 His initial painting style made use of solid blocks of colour. 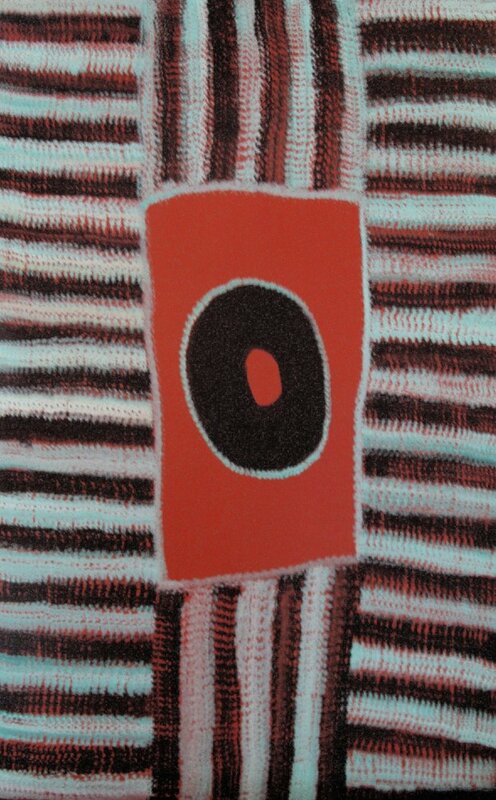 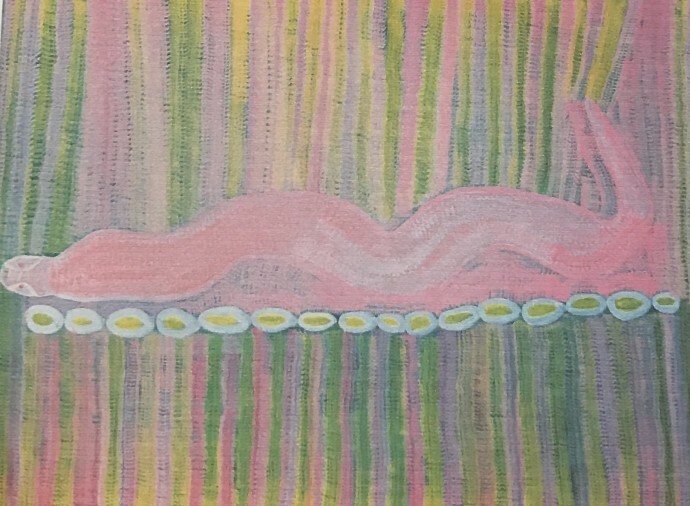 He then began to develop a unique method that drew upon the ancient traditions of rock painting to explore the land and its dreamings, whilst utilising the full range of colour available to him in modern acrylic paint.